Description for 4102 Casey Ave.
Santa Ynez Farm & Ranch with 2 Residences – Situated on a flat and usable 5 acres, this property includes a recently remodeled main residence with 3 bedrooms, 2 bathrooms, light and bright kitchen, living room and den. The fully detached and separate 2 bedroom, 1 bath guest residence features artistic influences and enclosed yard with lawn. Bring your horses as there is a 2-Stall MD Barn with runs plus 3 paddocks with shelters, Loafing Shed, and fenced pastures. 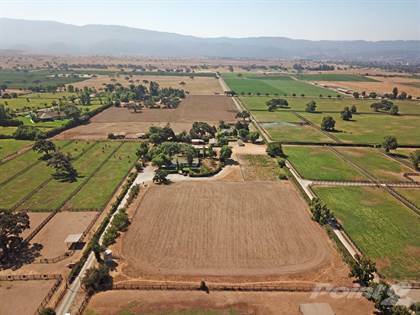 Plenty of open land for future development including room for additional horse facilities, vineyards or orchards. A private well on the property provides ample water for current and future uses. Central location between Roblar and Baseline with mountain views of the Santa Ynez and San Rafael ranges. Hi, I'd like to find out more information about 4102 Casey Ave.. Thanks so much!